The previous posts in this series have chronicled my my business planning journey through the following areas: narrowing the scope of my craft, branding my image, adding finishing touches, setting goals, and setting up an online shop. Now, I am going to focus on what I have done to spread the word about my business and resources I use to expand my business. I originally chose to set up shop with Etsy almost two years ago because the fees were very reasonable, online support is very good, and the Etsy community is very active. At that time, very few of my friends had heard of the online marketplace, but now Etsy has become more mainstream – most shoppers use it as the go to source for anything handmade. While I do like that Etsy is becoming more well known, I am concerned that it is becoming too big to maintain an indie edge. Even so, I still think it is one of the best starting points for an online presence for your crafting business. One of the first things I learned about being a member of the Etsy community is to share the love. One of the best ways to improve your standings in search results is to have items that have many views and fav’s. I make it a practice to add items to my favorites for any shop owner who has favorited my work. It is a simple, yet powerful practice. Treasuries are curated collections created by Etsy members. I usually have time to create 1-2 treasuries per month. When I do, I typically follow a PIF (pay it forward) rule: if I am featured in someone’s treasury, I will promote it, add the other items to my favorites, and feature the curator in my next collection. Both of these practices are very common in the Etsy community, and I have found that by staying active, I have gotten my shop much more exposure. 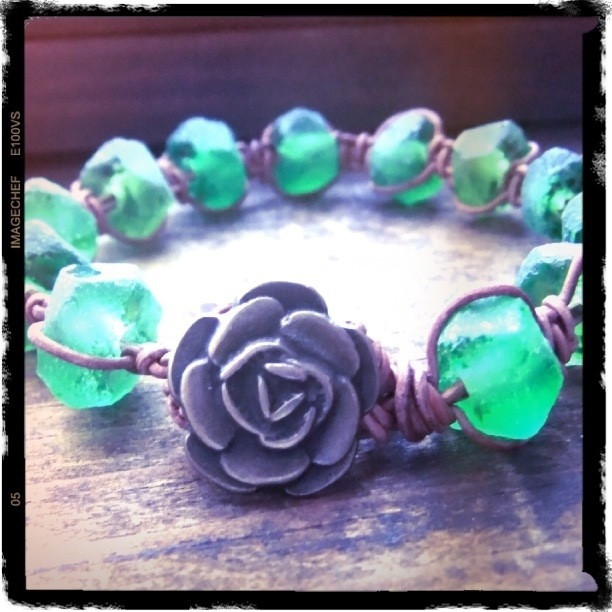 This is a gorgeous treasury in which I was recently featured. The Etsy community is made up of teams for members to join to network with other like-minded members. 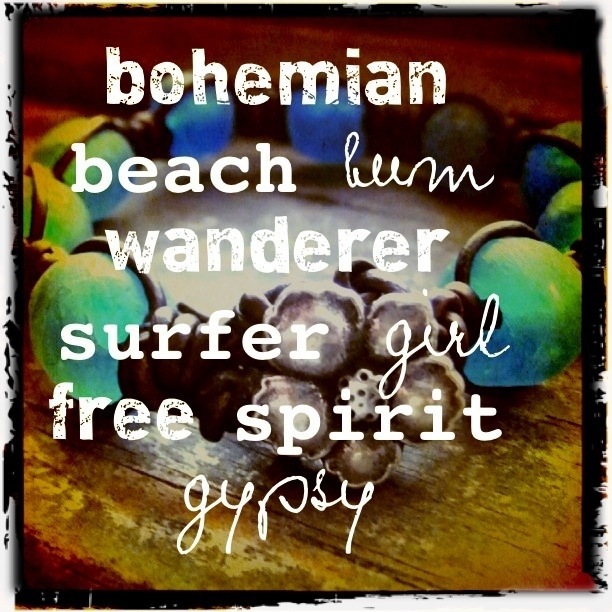 Some of the teams I belong to are the Hippie Peaceniks, Bohemian Lovers, and Beachy Things. For anyone following my blog, these surely seem like obvious choices for me. But the one team that I consider to be the most important is the South Jersey Etsians. I am a leader on this team (which just recently reached 100 members!) and maintain a very active status. As its name suggests, this team is very localized: most members live in the south western counties of the state (the ones closest to the city of Philadelphia). The main advantage of such a localized team is that we are able to host regular marketing mixers to meet in person to network. While I acknowledge the importance of staying connected in the cyber world, I must admit that I am old school and sometimes you just can’t beat face to face contact. If you are unable to find a localized team on Etsy, don’t be afraid to start one and invite members in – it will really help you cultivate a wonderful community of fellow local artisans and friends. And if you live in South Jersey and have a shop on Etsy, come join our team! Social Media is such an important part of today’s world, that it would almost be foolhardy to not take advantage of the marketing possibilities it holds. There are so many choices – Facebook, Twitter, LinkedIn, Pinterest, YouTube, Instagram, blogging – that it can feel so overwhelming! I fear that if I dedicated time to each social media outlet, I would not have any time left over to make my jewelry! I decided the social media outlets I would use to market my business would be the same ones that I use for everyday communication. 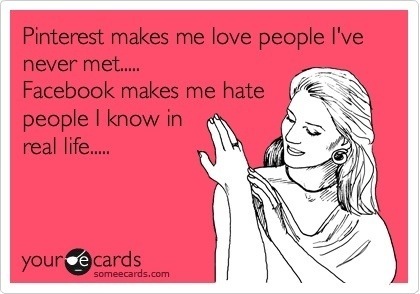 I actually do not spend much time on Facebook or Twitter, so I do not market regularly through them. I do enjoy reading blogs and I am quite addicted to Pinterest, so I have chosen to market through those outlets. I am proud to say that I have gotten many views and a few sales from both as well! My best advice to my readers is to be consistent with whichever social media you choose. If you choose to market through Facebook because you update your timeline everyday, then you should also be updating your shop page just as frequently. I love to take photos, so I am intrigued by the Instagram concept, and I am considering adding it as a marketing tool. What social media do you use to market your Etsy shop? Where have you found the most success? I would love to hear about it in my comments section. Thanks for stopping by, and once again joining me on my business planning journey! The fifth installment of my business planning series focuses on setting up an online shop with Etsy. This post is geared toward the new shop owner, but it is also a good review for tweaking existing shops. As a leader on one of my Etsy teams, I am in charge of our shop critiques and I will be using that model to outline the process. Think of your shop banner as your online welcome sign. What should be your customer’s first impression of your shop? 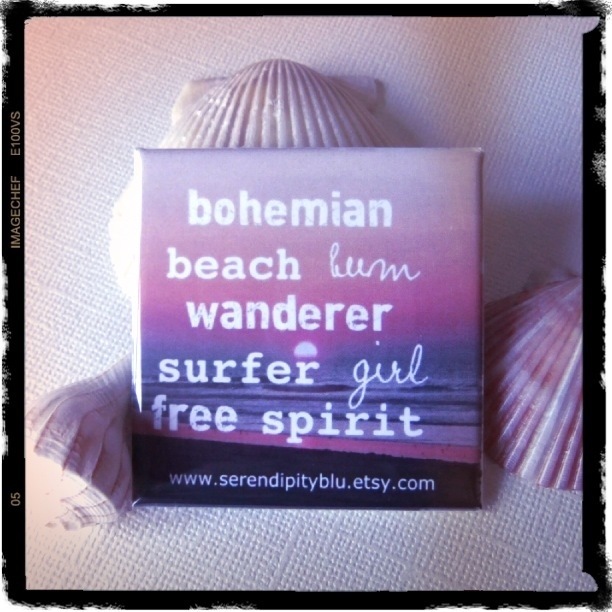 Ever since I first set up my shop, I wanted to portray a free spirited beach image. My current banner is actually my fifth, replacing others as my shop evolved and my brand became more evident. My first banner was just one of my photos of the Caribbean Sea with my shop name. It was pretty, but rather bland. After a couple of sales, I decided to treat myself to a professionally designed banner. I chose one that was perfect for my shop: a very reasonably priced mermaid image. It was quite beautiful, but it was not an exclusive design. I actually received an email from a fellow Etsian asking where I got it so she could use the same design for her shop! I immediately went on the hunt for a new, exclusive design. There are so many talented graphic designers who sell shop banners on Etsy, but be certain to choose one who designates their designs as OOAK (one of a kind). You put your heart and soul into making your unique crafts; you want something just as unique to advertise and showcase it. My third shop banner was a lovely vintage beach girl image. By vintage, I mean turn of the century, not 60’s surfer girl. I loved the image, but it was not exactly right for my shop. I chose it in a hurry, because of the mermaid debacle. 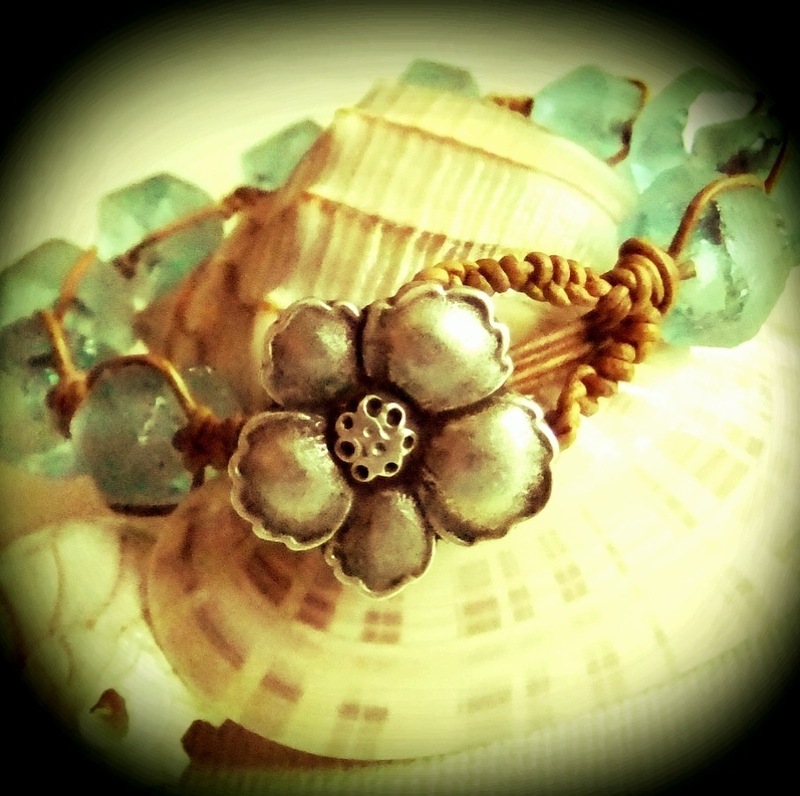 My fourth image was a rustic daisy design on a soft teal blue background. I was very pleased with it: it was simple and free spirited, just the image I wanted to convey (and daisies are my favorite flowers!) There were two things that this banner did NOT do: it did not convey in any way that I create jewelry, nor did it convey a beach theme. 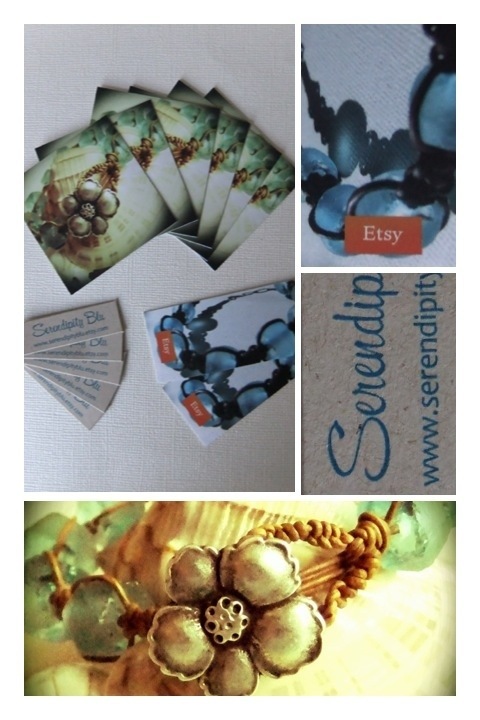 My shop name, Serendipity Blu, is abstract. The word jewelry is not anywhere in my name. What I realized is that my banner should be less abstract. For my most recent banner, pictured above, I decided to try my hand at designing my own. 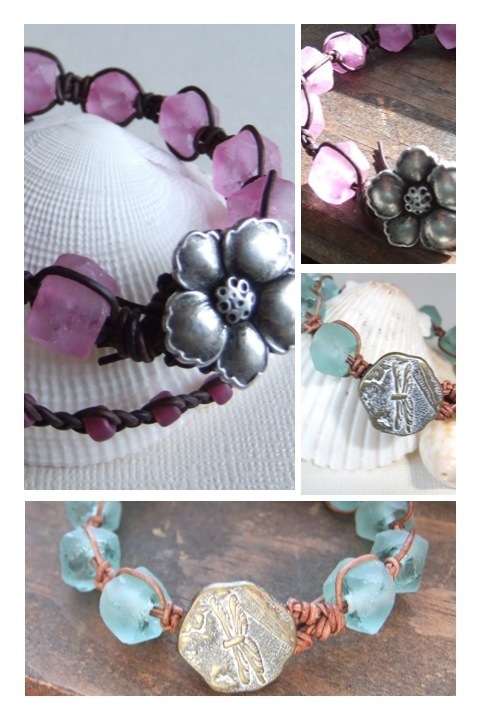 I featured some of my bracelet images along with my shop name and a beach image. I gave the photos an aged, distressed look to complement my rustic jewelry. 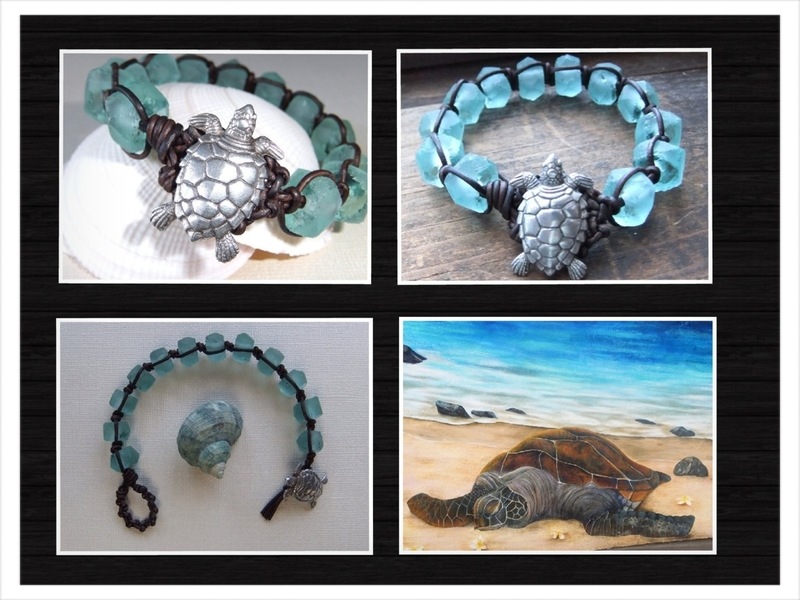 Now when a potential customer see my banner, she immediately thinks beach jewelry. If you would like to design your own shop banner, remember it should measure 760 pixels by 100 pixels. It can be in .jpg, .gif, or .png formats. You will upload your completed banner in the Info and Appearance section of your shop. Your shop title is different from your shop name. The terminology can be confusing. Think of it as more of a subtitle. I have seen many shop titles the same as the shop name, which makes for a redundant listing in a search engine. If I also used Serendipity Blu as my shop title, I would show up in a Google search as Serendipity Blu by Serendipity Blu. Instead, I used my mission statement as my title. (For more information on developing a mission statement, please review part 4 of this series.) 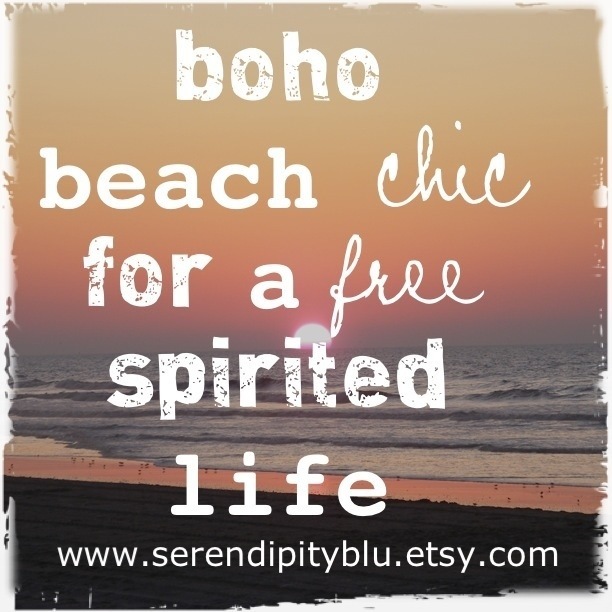 My shop title reads boho beach chic for a free spirited life. The first paragraph of your shop announcement should elaborate on your shop title. This is used in Google searches, so you want to make sure you are using simple sentences and important keywords. Additional paragraphs can feature current promotions, item turnaround time, and any additional shop information you would like a potential customer to easily view. How Is My Shop Viewed In a Google Search? Aloha and welcome to my cyber beach shack! 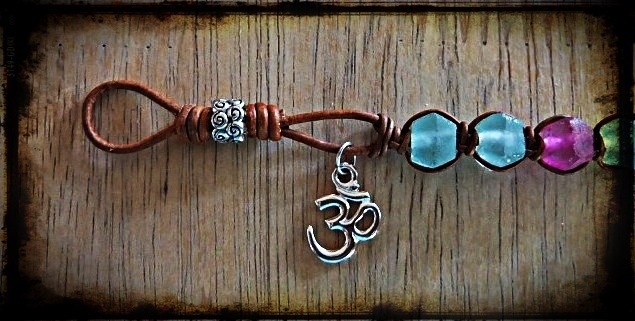 This is the place to find laid-back leather jewelry, with many pieces featuring eco-friendly recycled glass. This is where we need to find a balance: you want to be certain that potential customers clearly know what you selling and are also intrigued by your creativity in presenting it. While this is not nearly as much fun as designing a shop banner, it is an integral part of your shop’s success. You want your policies to be clear and concise, yet answer any questions your customers may have. Payment Policy: here is where you list all of your payment options: Paypal, Visa/MC/Am Ex/Discover through Direct Checkout; Etsy Gift Cards. Shipping Policy: Are your items ready to ship? If not, what is your turnaround time. How do you ship? USPS, Fex Ex, UPS? Do you supply tracking information? Do you ship internationally? All of these questions should be answered this section. Please note, if you do ship internationally, be sure to state whether you or the buyer is responsible for duties, customs, and taxes levied by the buyer’s country. “Customer satisfaction is a top priority. If your order is lost or damaged, or if you are dissatisfied for any reason, please convo me and I will work with you to resolve any issues. ~Full refunds are only available up to 14 days after receipt of item. ~Exchanges are available up to 30 days after receipt of item. ~Custom orders are not available for refunds or exchanges. Additional Information: Do you accept custom orders? Wholesale orders? What other questions do you think your customer may have? Your Avatar is simply your profile picture. I have seen some avatars utilizing a product photo (like mine), the shop owner’s photo, or a graphic matching the banner. All three work beautifully; it really is just a matter of personal preference. This section is about you. Tell your potential shoppers a little something about yourself. Are you a proud parent or grandparent? An intrepid traveler? (like me!) What would you like to share. Also let your customers know what inspires you. Your Shop Announcement and About Page tell your shop’s story. This is where you tell your story. This is a relatively new feature for Etsy, and one that every shop owner should utilize. This is where you can really tell your shop’s story (in worlds and pictures). This section is also where you can link you pr blog to your shop. 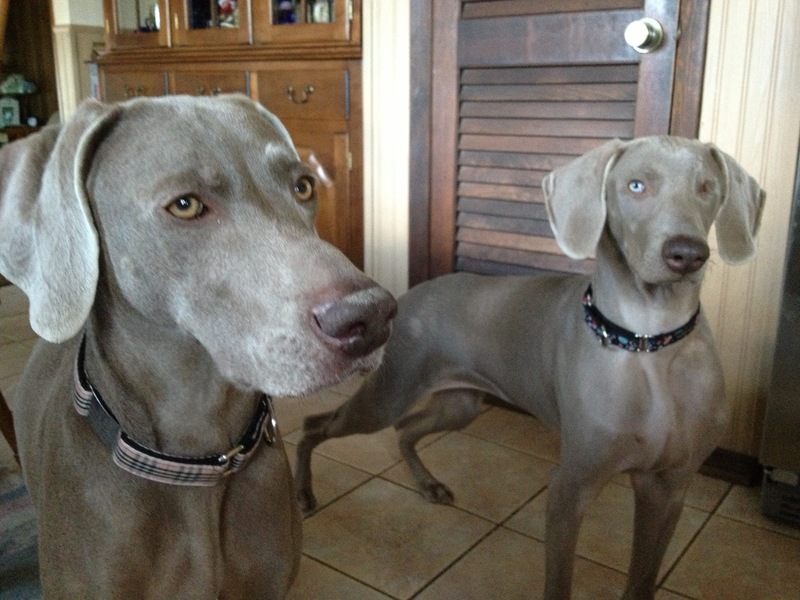 My about page features pictures of my favorite jewelry model (my sister’s Weimaraner, Mia); an eco-friendly shop that features my bracelets; my craft show display; and the recycled glass beads I use. Yours can include anything you want. Did you start making jewelry for your wedding? A photo of your wedding party would be an amazing touch. Get creative! Most Etsians will tell you this is the most challenging part of the entire listing. I am planning an extensive follow up post strictly on photographing your work, but in this post, I will outline some basics. It is imperative to make sure your photos are crisp and clear. My best advice is to purchase the best camera you can afford (don’t be afraid to buy a used camera if it is high quality), always use the highest resolution setting, and take many photos at various angles. My camera is a few years old, but it still takes amazing pictures, so I have no plans of replacing it anytime soon. It is a Fuji FinePix with 16MP and 10x optical zoom. My titles basically went from Alive and Black to Elderly Woman Behind the Counter at a Small Town. (Couldn’t resist the Pearl Jam reference!) I name all of my pieces, and when I first started selling on Etsy, I only used those one to two words. That is a big no-no if you ever want your items to be found in an Etsy or Google search. For optimal Etsy search results, you want to make sure your defining word (what the item is) is in the first 2-3 words. 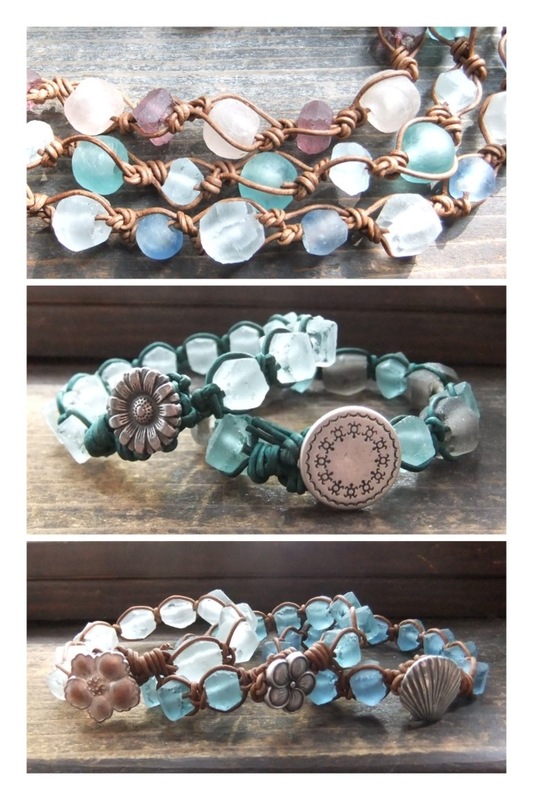 When I re-worked my titles so that “woven leather bracelet,” “macrame leather bracelet,” or “recycled glass bracelet” are the first 3 words, I really moved my position up in the search results! (I now start appearing on the first or second page of those search results!) Please note that I also vary my defining words, since potential customers may search different keywords. Another thing to remember when titling your items is that search engines like Google only pick up the first 55 characters, so you want to make sure everything you want displayed in an external search is within the 55 characters. Back to the PJ reference, one of the first items I listed in my shop was simply titled Wakiki Beach, and it received little or no views. 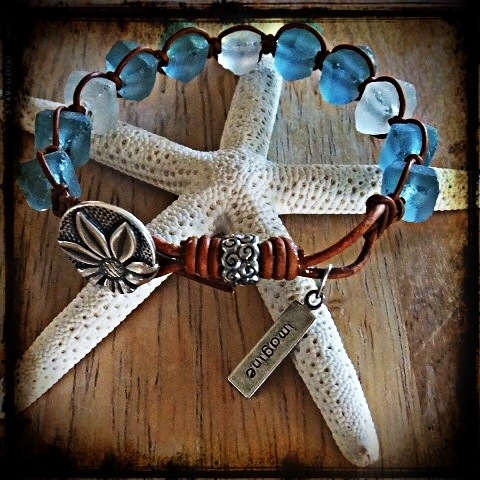 Now it is titled Macrame Leather Bracelet “Waikiki Beach” Seafoam Green Dragonfly Recycled Glass Boho Surfer Style “Betty Bracelet”, and it gets many hits and hearts! You should write your item description as if there were no photos. Be very specific and answer any questions your potential customers may have. Google search results give the most weight to the first paragraph. be sure to optimize this by including colors, materials, and keywords first. Always remember to include sizing information. If your descriptions are lengthy (like mine! ), separate them into paragraphs for easier reading. Etsy allows you to use 13 tags to describe your item. Be sure to use all 13 or you are missing out on potential search results. The best advice I have ever received on using relevant tags is to view the tags used by a shop with similar items that has a high sales volume. Another option is to show your item to some friends and ask them to describe the item using one or two word phrases. They may come up with great tags you never thought of using. 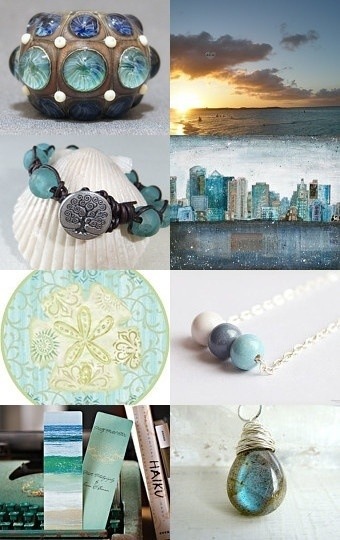 While Etsy does allow relevant phrases to be used as one tag, they do frown upon “tag stuffing.” For example, I can use recycled glass beads as one tag, but not surfer beach ocean. Etsy also allows up to 13 materials tags. I was not fully utilizing these until recently. I now use not just leather as material tag, but also distressed leather and brown leather to help increase my search results. Etsy allows up to 10 shop sections to categorize your listings. You should try to make your sections descriptive and creative. Instead of simply using Bracelets, Chokers, and Pendants, I use use Betty Bracelets, Beach Bum Chokers, and Mermaid Tears Pendants to enhance my beach theme. Etsy recommends having at least 40 items in your shop. One reason is to give potential shoppers several choices. 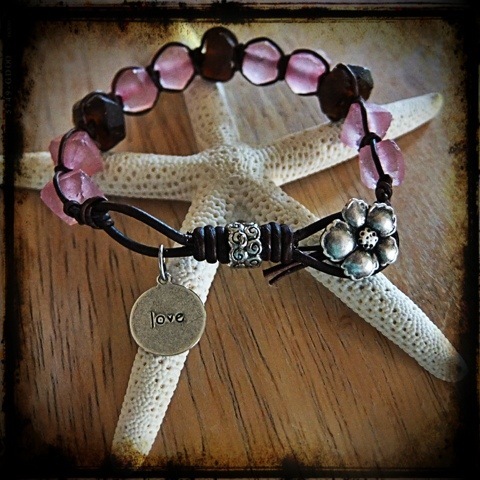 My shop has Betty Bracelets in several sizes with a whole plethora of color and toggle variety to appeal to several tastes. Also, the more items you have, the more opportunities there are to be picked up in Etsy and Google searches. Whew…there is a lot involved in setting up an online shop with Etsy! 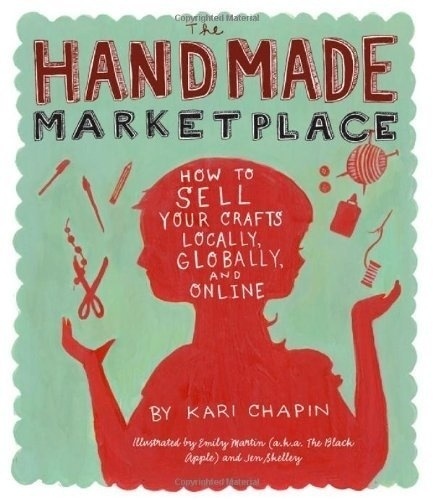 I hope this post helps you realize your goal of selling your crafts. There is just one more post in this Getting Down to Business series. Next week, I will focus on marketing your items within and outside of Etsy. I will also be taking a six week photography course beginning next week at my community college. Once I am finished, I plan to write an extensive post on photographing your work. Please keep an eye out for both of these posts by following my blog. Thanks for stopping by and happy selling! 1. Why do you craft? 4. What is your niche? 2. How can you use these words to create an image for your craft? 1. Do your printed marketing materials convey your overall image? 2. Does your packaging presentation complement your overall image? If you have not done so already, use these questions to create a brand building worksheet for yourself. Please feel free to review these previous posts for how I answered those questions and how this exercise helped me establish my retro beach image. 1. Key Market – who is your target customer? 2. Contribution – what do you provide? 2. Distinction – what makes it unique? Remember, we are in the business of creating, so your mission statement should be creative as well. It is ok to imply, rather than spell out, your mission. What should this business accomplish? Is your crafting business simply a hobby? Is it also a part-time source of income? Would you like to make it a more viable source of income? Three major factors to consider are 1. how much time you have to invest; 2. how much money you have to invest; 3. how will you position your business. 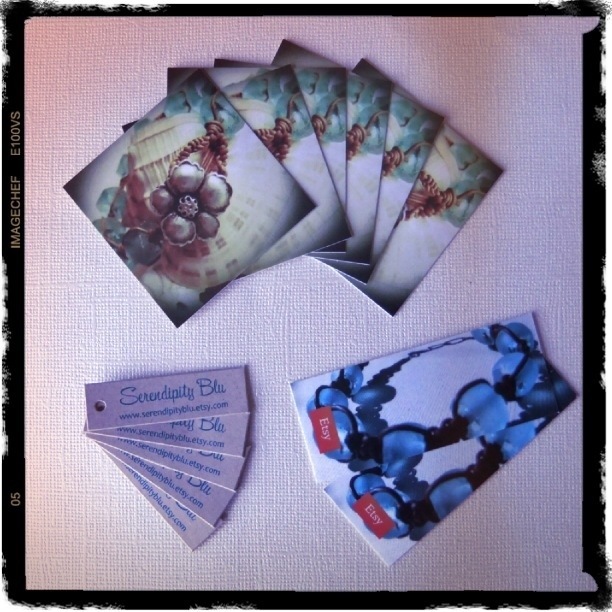 Serendipity Blu started out as a hobby, but I am currently developing it into a part-time source of income. How much time do you realistically have? Do you work 40 hours a week? Do you need to travel for your job? What are your family responsibilities outside of work? All of these questions pose important scenarios when determining how much time you have to devote to your crafting. I work a full-time relatively demanding job. I am not married and I do not have any children, but I do regularly socialize with friends, travel, and attend concerts. 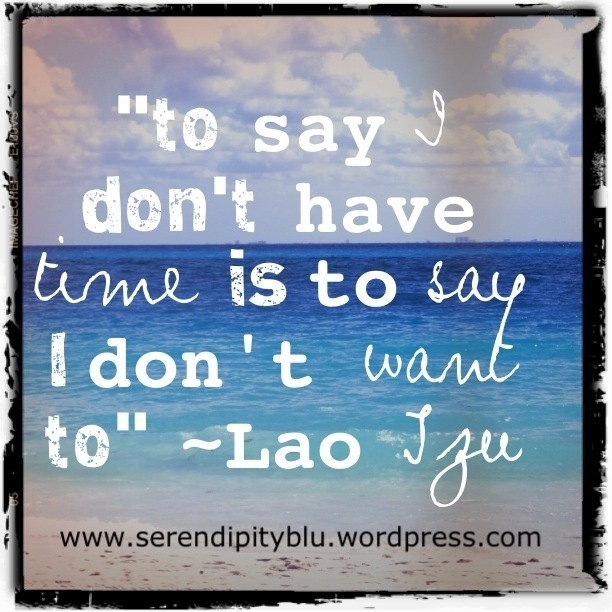 I am fortunate that I do have quite a bit of free time, but I do not want to spend ALL of it on my business. There is this wonderful quote by Monty Python actor John Cleese, “If you want creative workers, give them enough time to play.” Many of my inspirations for designs or marketing concepts do arise from my unwind time. Since I consider my crafting business a part-time endeavor, I currently spend approximately 15-18 hours per week on it. I am willing to increase this time to 20-24 hours per week to prepare for a specific event. How should you divide your time? There are several components to a crafting business: developing and researching your designs/materials; executing your designs into finished items, and marketing/networking of your business. I typically spend 3-5 hours per week on marketing and networking. This time includes internal marketing on Etsy, external marketing through this blog and on Pinterest, and developing new printed materials. Approximately one week a month, the balance of my time is spent on development. I take this time to read through my macrame books to find different design ideas, to create prototypes of the designs, to find just the right materials to accent the designs, and to research names for the designs. The other three weeks of the month are spent executing the designs into jewelry that I will be selling. What is your financial budget for building your business? I am fortunate that I have enough sales on my Etsy shop that it basically sustains itself. But since I am in the process of growing, rather than maintaining, my business, I am now in the precarious position of financing this growth. One thing I will NOT do, nor do I ever encourage readers to do, is to put more supplies on a credit card than you can pay off each month. That is just simply a recipe for financial disaster. Instead, I use a percentage of my DISPOSABLE monthly income. I define disposable income as income that is left over after all bills are paid, savings is set aside (for both retirement and long term goals), the car is filed with gas, and groceries are purchased. I also pay for concert tickets and save for vacations with this disposable income, so I am currently using about $100 per month on additional business supplies. I encourage everyone to also develop a budget worksheet to see how much you can realistically set aside each month for your business. How will you position your business? Is your craft business strictly online? Do you have both strong online sales and a craft show presence? Do you mainly sell at craft shows, but want an online venue for repeat sales? There is no right or wrong way to position your business, but It is important to determine this when you are setting your business goals. I currently have just an online presence, but I plan to expand and sell at some craft shows this year. A good part of my financial budget is earmarked for buying enough materials to make a good surplus of jewelry to sell at these shows and and for purchasing display items. Specific: what precisely do you want to accomplish? Measurable: what is the concrete criteria for measuring progress? Relevant: why is this goal important? Time-Bound: when does this goal need to be accomplished? One of my business goals for this year is to increase my item listings on my Etsy shop to 100 by the end of the year. I plan to do this in steps: 50 items by spring; 75 by summer; 100 by the holidays. Specific: this goal precisely outlines the numbers I want to increase. Attainable: I am increasing my inventory by 25 items every three months, or about 8 items per month. With the amount of time I have outlined for my business, this is a very realistic task to complete. Relevant: this goal is pertinent to increasing my revenue – the more items my shop has, the more exposure it receives, and the potential for sales increases. Time-Bound: this goal has distinct time limits for completion. Specific: I need to include specific number of shows to participate in this year. 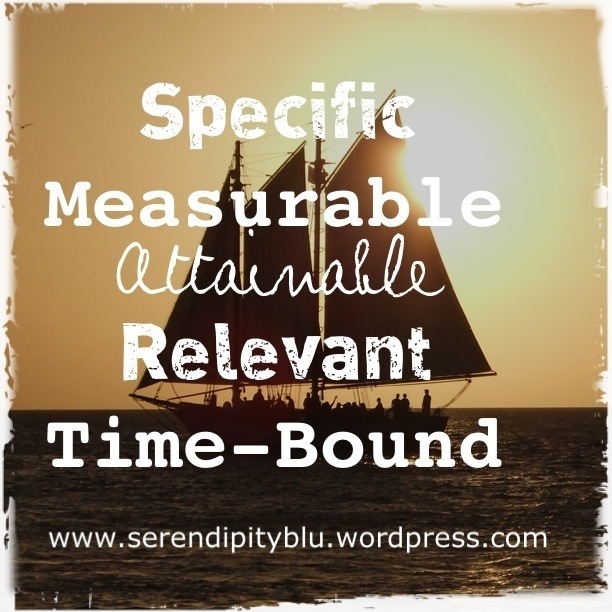 Measurable: while vague, this is an easily measurable goal. Attainable: I have to make certain I have the time and resources to prepare for the shows. Relevant: while vague, this goal does focus on an important aspect of the crafting business; there is potential for increased revenue. Time-Bound: I need to specify which times during the year I want to participate in each craft show. This year, I plan to participate in 2 craft shows during the summer and 2 craft shows for the holiday season. Thanks for stopping by and joining me on my continuing business planning journey. I hope that I have given you some concrete ideas for building YOUR business. Stay tuned for the last two posts in this series: Setting Up Shop and Marketing with Social Media. A great deal of care was taken in the execution of this bracelet. Matching the right toggle and leather to the beads to give it both an Irish and a surfer feel; researching and finding the perfect name; and taking just the right photos to capture its true beauty. Not taking care in the packaging of this item is really quite comparable to skipping dessert after a delicious meal. While it is not necessary, it is an appreciated finishing touch. After I completed my branding exercises, I determined my image is beach-rustic. An appropriate packaging theme for this image would utilize natural colors and textures. 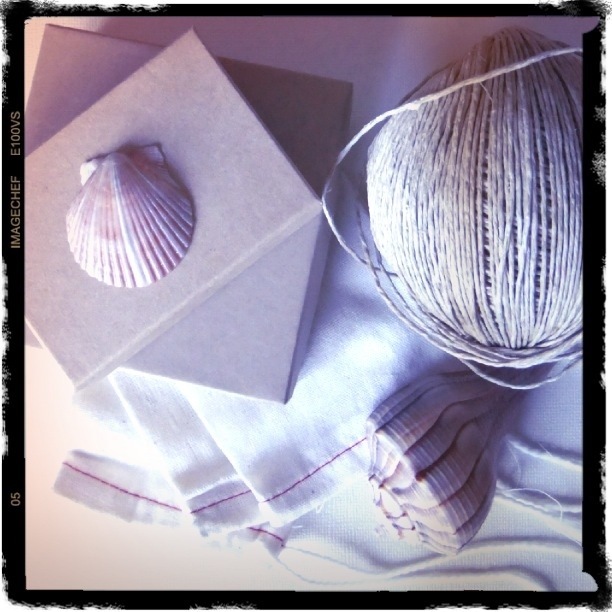 I wrap each item in these unbleached cotton muslin bags – I like that these bags can be re-used – very eco-friendly! I decided to continue to use traditional jewelry boxes since most of my jewelry is made with chunky glass beads and I want to be certain it arrives safely at its destination, but now I have chosen a kraft finish (made of recycled materials!) to better complement my theme. I also tie a fun bow around the box with hemp cord for a finishing touch. I then ship it in a padded kraft mailer (also made with recycled materials). 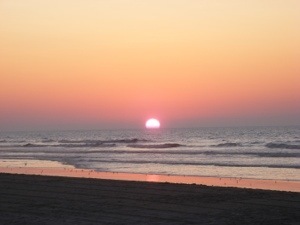 I ran this photo through my Image Chef iPad app to crop it to a square and to add the fun text. I finished with my FOTOLR HD iPad app to add my website address and a little distressing around the edges. I ordered one magnet from Zazzle to test the design, and, I am thrilled to report, it came out beautifully! I also received a discount code with my order for 10% off my next order. So here is the math: I plan to order 24 magnets for $2.17 each after my discount. Zazzle also offers free shipping on orders of $50 or more, so my cost per item will not increase. I think this is a great price for a free gift that really doubles as advertisement. Thanks for stopping by. I hope I have offered some inspiration in designing your packaging for your craft. I would love to hear about any creative ideas anyone else has through the comments section. 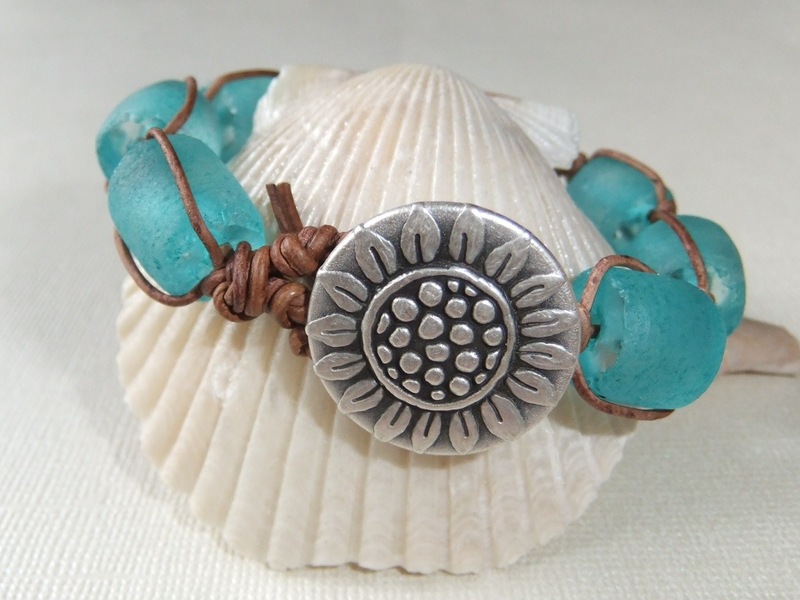 In yesterday’s post, I defined my style as beach-rustic, targeted my customers as grown up surfer girls, and found my niche with leather macrame bracelets. 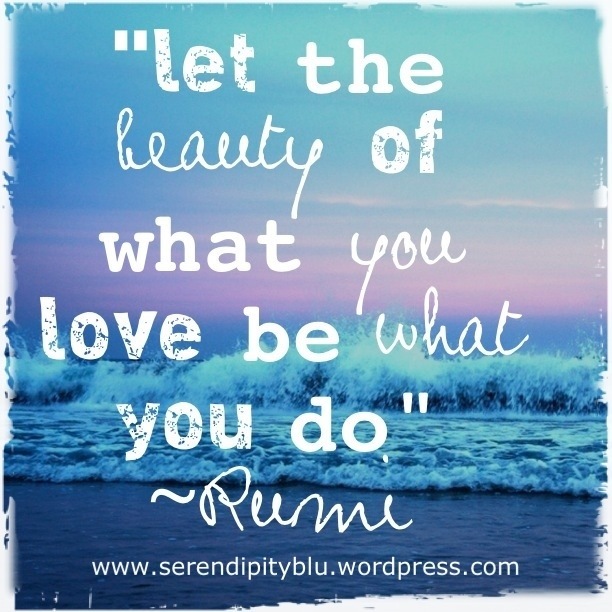 Today, I am going to focus on pulling all of this together by building a brand for Serendipity Blu. What is branding? A brand is simply your image. It is who you are and how this translates to your business. 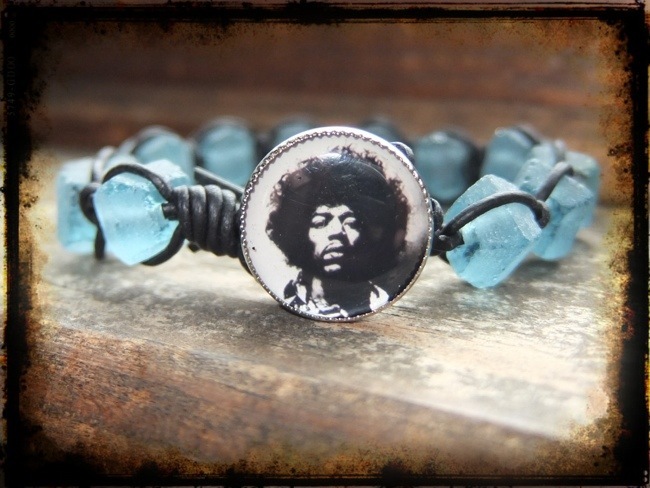 Since I am a jewelry junkie, I have a great collection of PJ adornments to wear to shows, so we can eliminate that off the list…and I am basically left with a collection of descriptions to apply to my image. 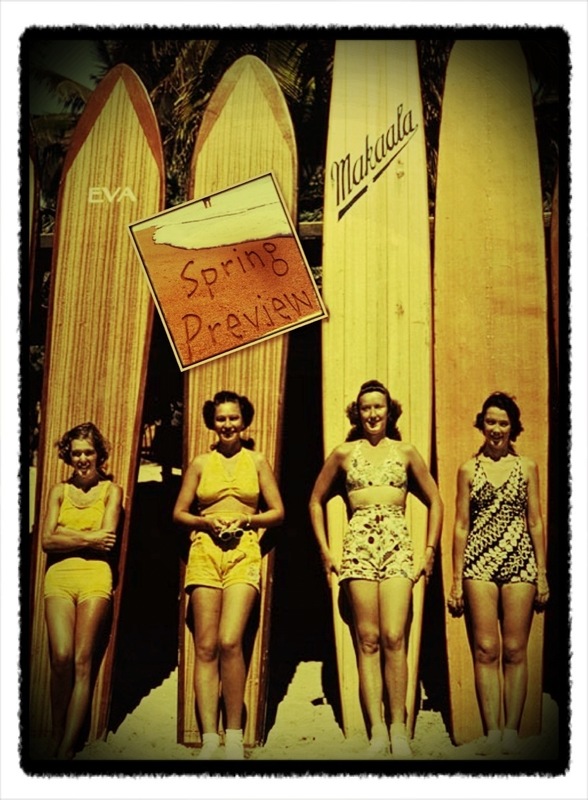 I have decided a whimsical way to pull my image together is to use retro beach and vintage surfer themes and images. SHOP BANNER & AVATAR – My shop banner and avatar on my Etsy shop and my gravatar on WordPress all feature images of my jewelry that have been enhanced to look like vintage photos. I run my business mostly from my iPad and I have acquired quite a collection of free photo FX apps. For my banner (shown at the top of this post), I first selected three pictures of my Betty Bracelets and gave each of them an aged appearance. Next, I used a photo collage app and one of my own photos of the Caribbean Sea as the background. I added the aged Betty photos and my shop name in a casual text. Finally, I used the same editing app I previously used on the jewelry photos to crop and size the banner according to Etsy specs. I then decided to add some distressing to make it look even more rustic. Te entire process took only about an hour and the result was very much worth it! For my avatar and gravatar, I also used one of my jewelry photos, but this time the editing was much more simple. I only used the editing app to crop the picture to a square, age it, and size it to the proper specs. PHOTOS – I think it is very important to develop your own photo style to distinguish your work. I have two image styles I always use. The first one features my Betty Bracelet propped up on natural seashells placed on a piece of cream colored scar booking paper. I always use natural light for this shot to capture the truest hue of the beads and sharp details of the leather and toggle. This is the photo I used as my “cover photo” for my Etsy listings. The second image is taken in direct sunlight on dark distressed wood. I love these shots because they really show how amazing the recycled glass beads look shining in the sun – remember, I am marketing to beach bums like myself! I often use these images in my blog. At first, I thought taking all of my photos the same way would be redundant, but then I realized it would make them recognizable. It is also imperative to make sure your photos are crisp and clear. My best advice is to purchase the best camera you can afford (don’t be afraid to buy a used camera if it is high quality), always use the highest resolution setting, and take many photos at various angles. My camera is a few years old, but it still takes amazing pictures, so I have no plans of replacing it anytime soon. It is a Fuji FinePix with 16MP and 10x optical zoom. WHAT’S IN A NAME? – Serendipity is one of my favorite words…I love both the way it just rolls off the tongue and the fact that it loosely means, “just seeing where life takes you.” My favorite color is aqua blue, so I chose Blu to complete my shop name for that reason and also because it conjures up images of the ocean. I thought about adding “jewelry” to my title, but I was afraid it would limit my craft. I am a macrame artisan and I may also like to add bags or scarves to my shop. 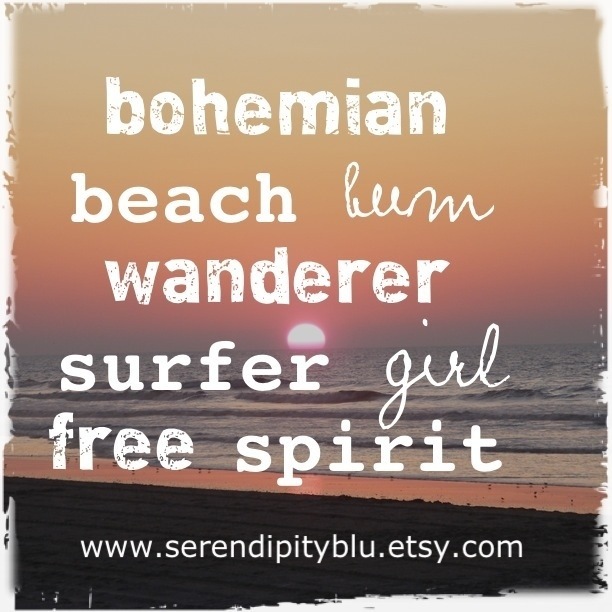 My shop tag line is BOHO BEACH CHIC FOR A FREE SPIRITED LIFE. I think that pretty much sums it up. 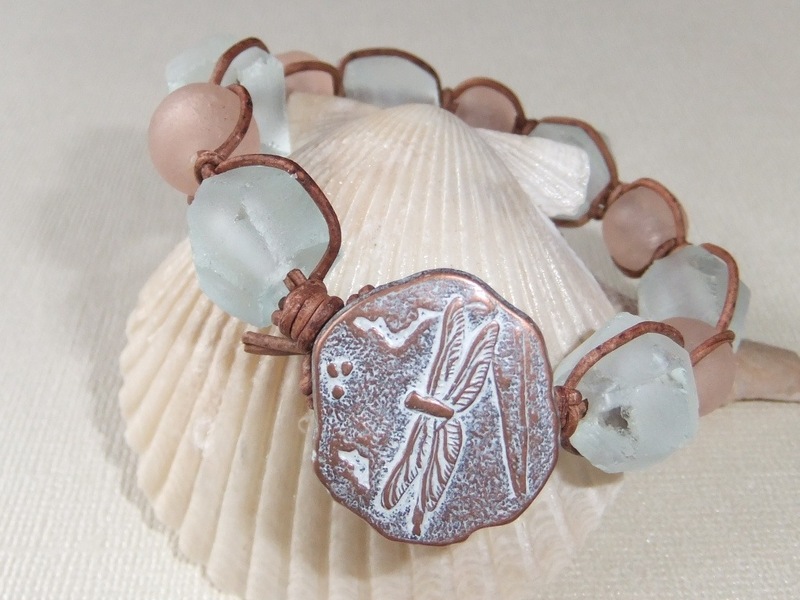 My shop sections on Esty also evoke images of the beach: Betty Bracelets, Mermaid Tears (for my wire wrapped seaglass collection), etc. 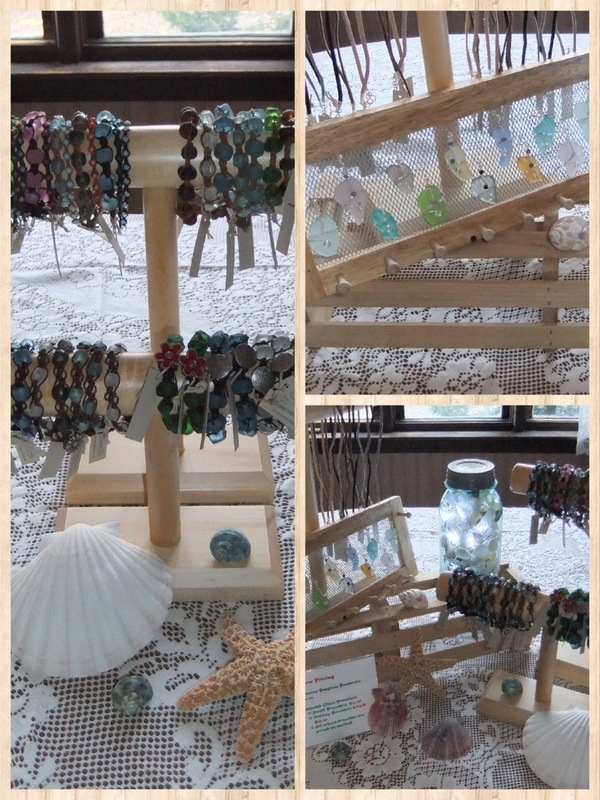 I also name each of my items; I feel it helps customers to remember special summer or vacation moments. For example, all of my Betty Bracelets are named for surfing beaches. PRICE POINT – Does my price point match my target customer? 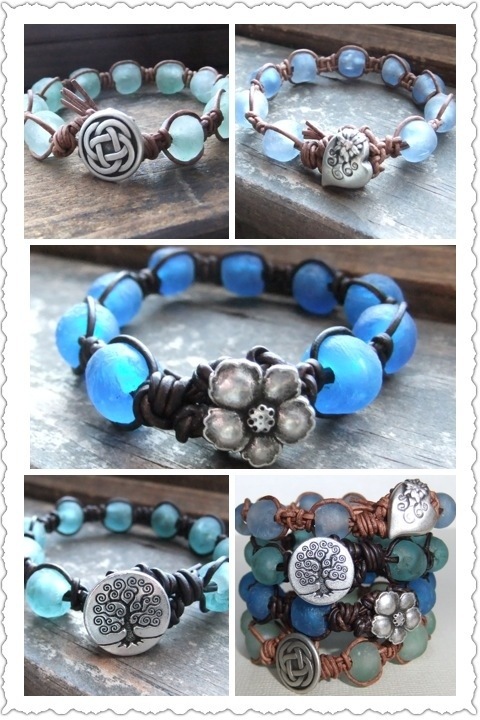 My bracelets currently range from about $25 to $35. 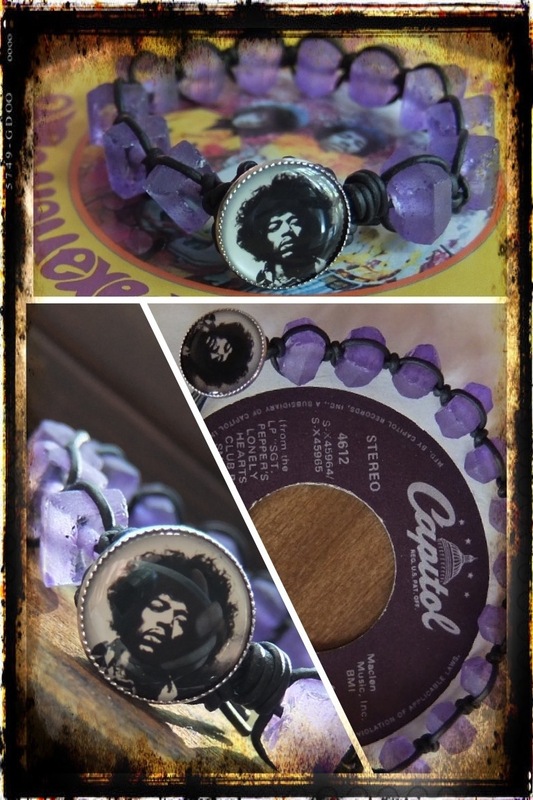 My designs are geared toward my customers’ more casual attire and I feel this a fair price for a quality artisan piece. I like to tie my look together with rustic packaging. I use natural muslin bags and recycled kraft jewelry boxes. I wrap everything up with hemp cord and ship it in a recycled kraft padded mailer. For my craft show displays, I choose natural wood displays, cream (rather than stark white) linens, and seashell accents. 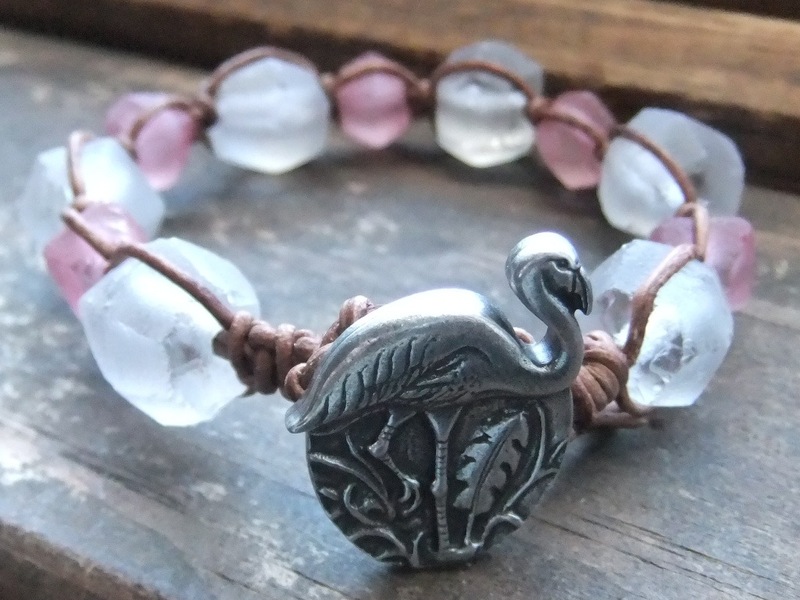 Layering, or stacking, lots of boho bracelets is a big look for spring. 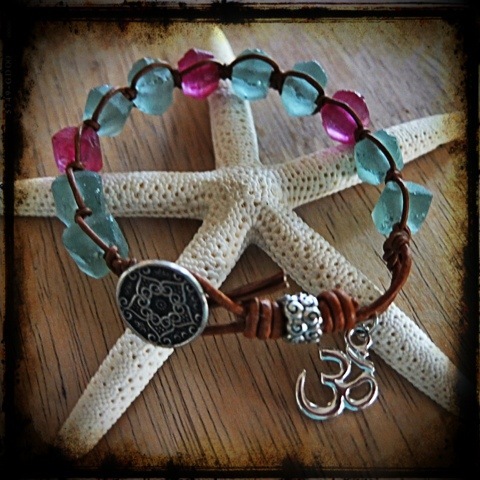 I just introduced four new Surf Safari Betty Bracelets that were designed just for this trend: the distressed leather is just a little thicker, the recycled glass beads from Ghana are just a little smaller, and the accent toggles are just the right size to fit perfectly in the line of the bracelet. TUNISIA with honey brown leather, mint green beads, and Celtic Knot toggle. 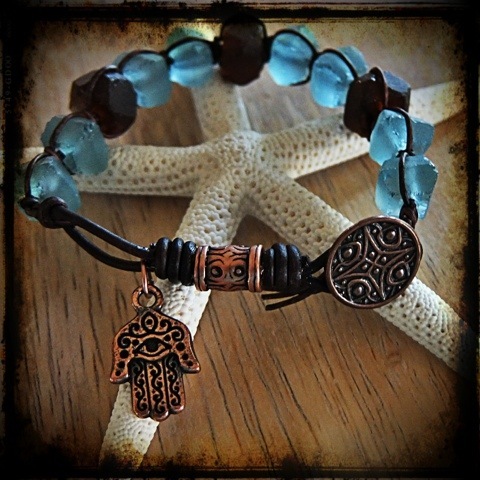 CASABLANCA with honey brown leather, blue & white marble beads, and heart toggle. 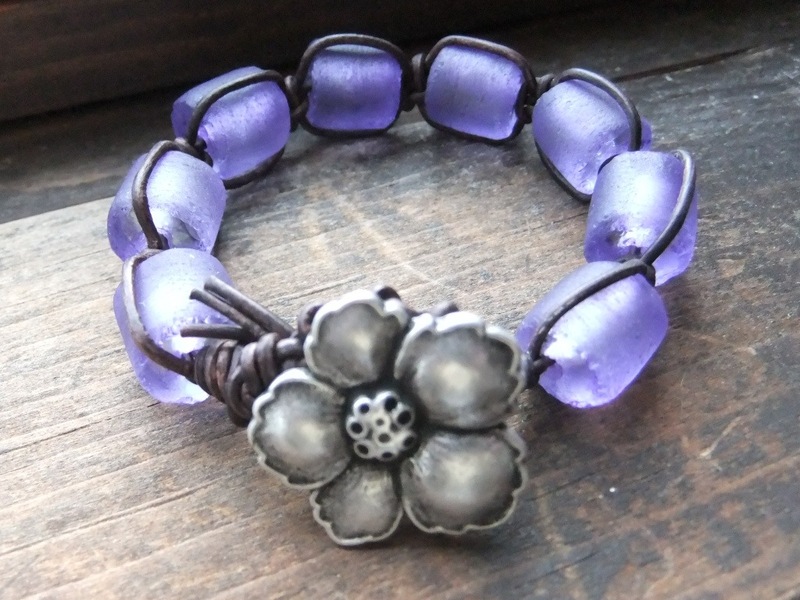 ZANZIBAR with deep brown leather, electric blue beads, and hibiscus toggle. 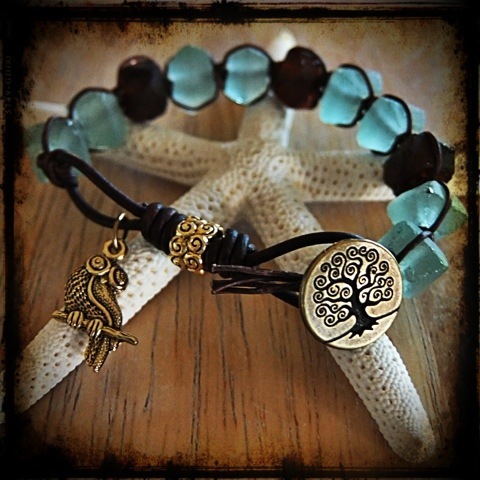 MADAGASCAR with deep brown leather, soft teal beads, and Tree of Life toggle.